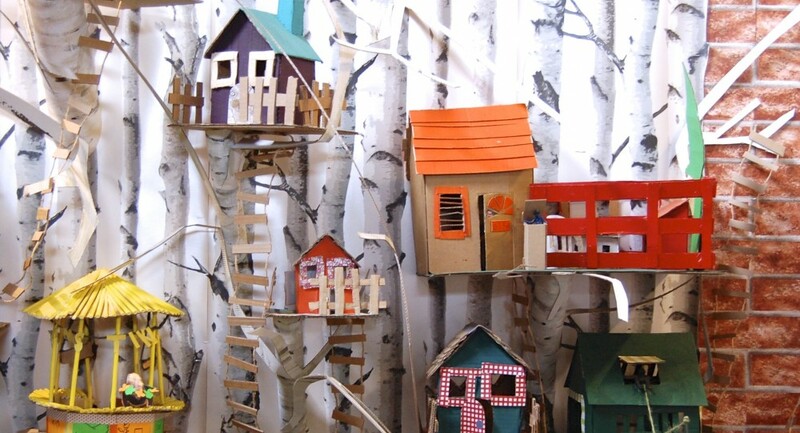 Under templates you will find two house shaped templates which you can adapt to bird boxes. We have used strong cardboard and you will need to add tabs to the edges of these patterns. We have used some ikea drawers and added a roof. Old drawers, boxes there as well as of course real bird boxes. Does it have plants inside? What kind of windows does it have? What have you collected inside? What is your favourite thing to do at home? These are ideas for a house but your box can be and become what ever you would like to to be… there is no limit to what you can make. List/draw/make models of your most important things. Press objects into air drying clay, rubbings, make textures. a piece of poetry you like. Create a museum of very small things.